Every year this time I see relics of those who didn’t survive the winter. I’m not a forensic expert, but based on the thin orbital bones (around the eyes) and the occipital ridge (across top of head), this appears to be a striped skunk whose remains were probably scattered by vultures. 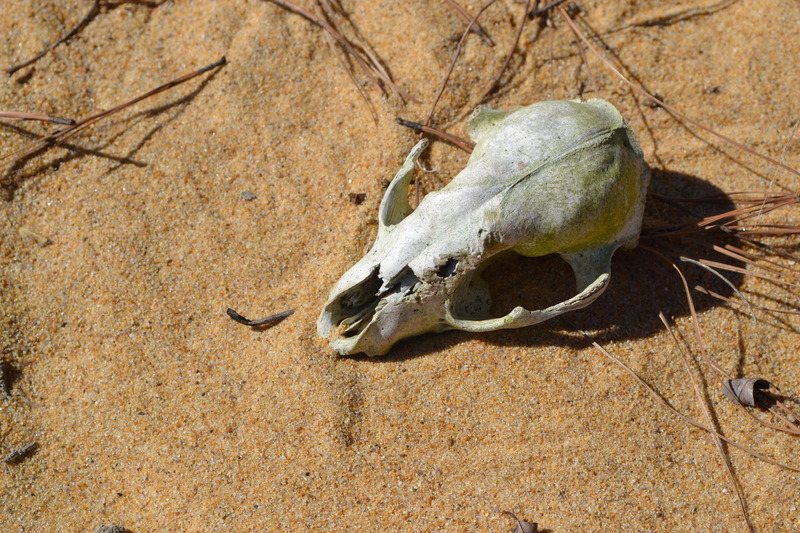 The skull, but nothing else, wound up on a beach. A sad tale of hardship for the skunk, but it’s death likely provided life for others.